Are you looking to get away? Have you found Ely Minnesota?! It is not something that can tweet you, tag you in a photo or even text you. No. You have to discover it, for yourself. At least some people feel they should. If your one of those people, our Ely Minnesota Resort offers everything you could ever want from your trip to Ely. Stay in luxury cabins or rough it out in the preserved Boundary Waters Canoe Area. Our Ely Resort can assure you, your family, friends or any other group you wish to enjoy Ely with a fantastic time. 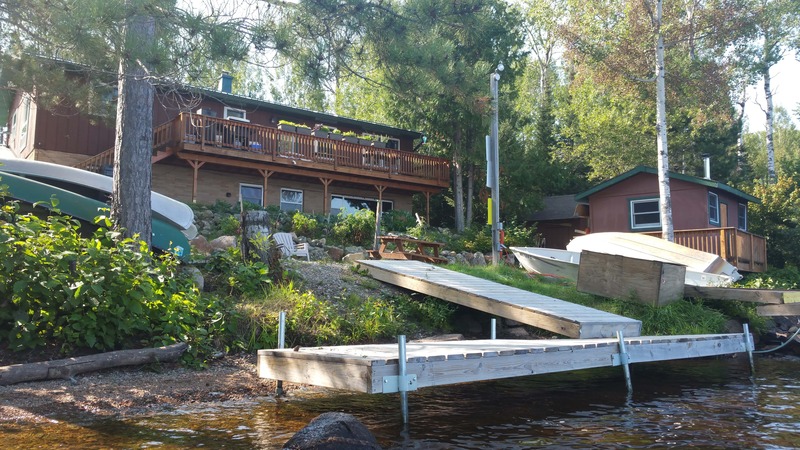 Moose Track Adventures offers Comfortable Cabins, On The Lake Amenities, Guides and we are a Boundary Waters & Quetico Outfitter – an Ely one-stop-shop if you will. With a large picture window presenting you a perfect view of Farm Lake and your Personal Dock, waking up in the mornings just got a lot more beautiful. 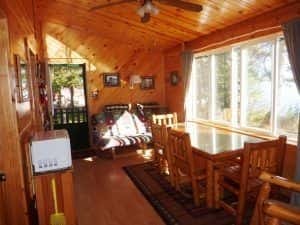 Especially because there is room for more than 4 in every rental cabin on our resort, so you can bring your family and/or close friends. You can even bring your four-legged friends; our cabins allow house trained dogs that love meeting new friends. We know that’s not all the comforts of home… Of course, you need a coffee pot, otherwise, you’d be running to the nearest coffee shop (I would highly recommend Front Porch – at least once) every morning. There’s also grill utensils for your private grill located on the outside of your rental cabin. We have even stocked our newly remodeled cabins with comfortable memory foam mattresses, for a refreshing night sleep. Farm Lake fishing is good. There is no need to haul up your boat or even have a boat to be able to enjoy yourself on the lake, our resort has you covered. We offer Lund boat, 14’ boat, kayak, and canoe rentals daily and weekly. From your dock travel through the White Iron Chain of Lakes, not just Farm Lake but also Garden Lake, South Farm Lake and White Iron Lake. Our Ely Outfitters can take you on a Fly-In Canoe Trip, Outfit you from meals to canoes. 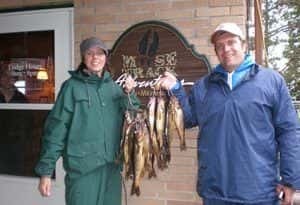 To Schedule your Ely Resort Stay with all the possibilities on the table contact Moose Trak Adventures at 218-365-4106 or email info@moosetrackadventures.com.